WFC3019 CNC aggregate heads of WEN CHIH are able to replace expensive five-spindle processing machine. It could not only save your cost spending significantly but also maintain the fast processing speed and best production quality. We are the best choice for your CNC processing. 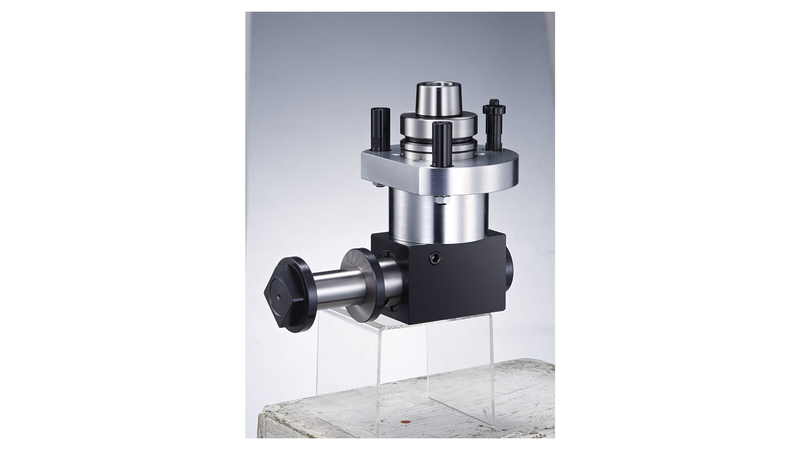 The C axis of WFC3019 CNC aggregate heads can be adjusted for 360 degree. When the C axis is fixed, the maximum swing of cutter can reach 90 degree to the left or right side. You are able to adjust to the optimum angle in time according to your different processing requirement. This type of aggregate head can be used with not only the drilling cutter but also the saw blade with its biggest diameter of 120mm. The angle sawing can be done by adjusting the angle. 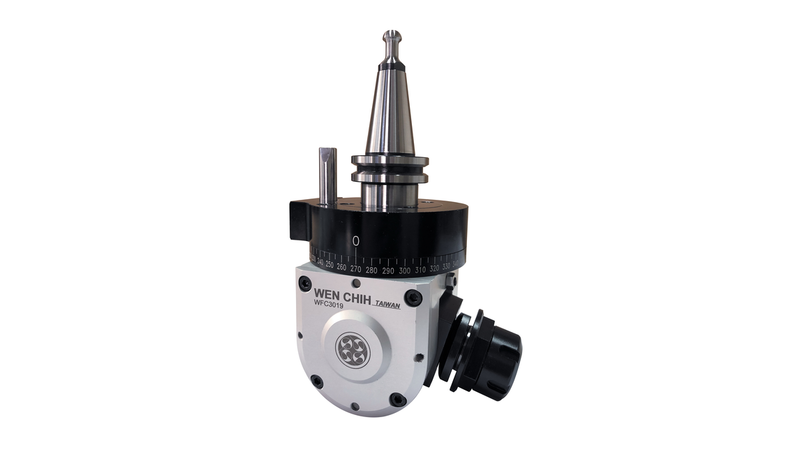 WFC3019 CNC aggregate heads developed by WEN CHIH are easy to operate and the feature is its varied angle. Regarding the holders, except ISO30 and HSK63F, we are able to produce it according to the customer&apos;s requirement. With the increasing CNC processing demand in Asian market, these aggregate heads launched by WEN CHIH are very suitable for the processing demand of big quantity, which enables the small and medium sized companies to reach the five-spindle processing by low cost.